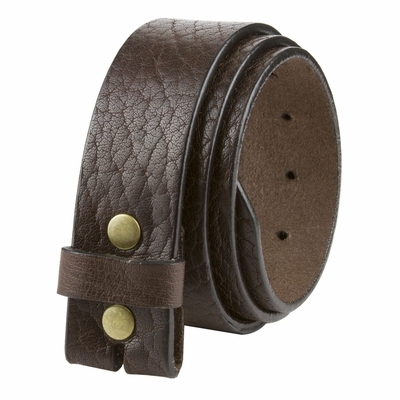 Soft Strap with original characteristics of the leather natural texture 1 1/2" (38MM) Wide. 4mm thick leather. One piece full grain with Antique nickel snaps, comes with one loop. High quality belt strap, leather that will endure and look better over time. MADE IN USA.